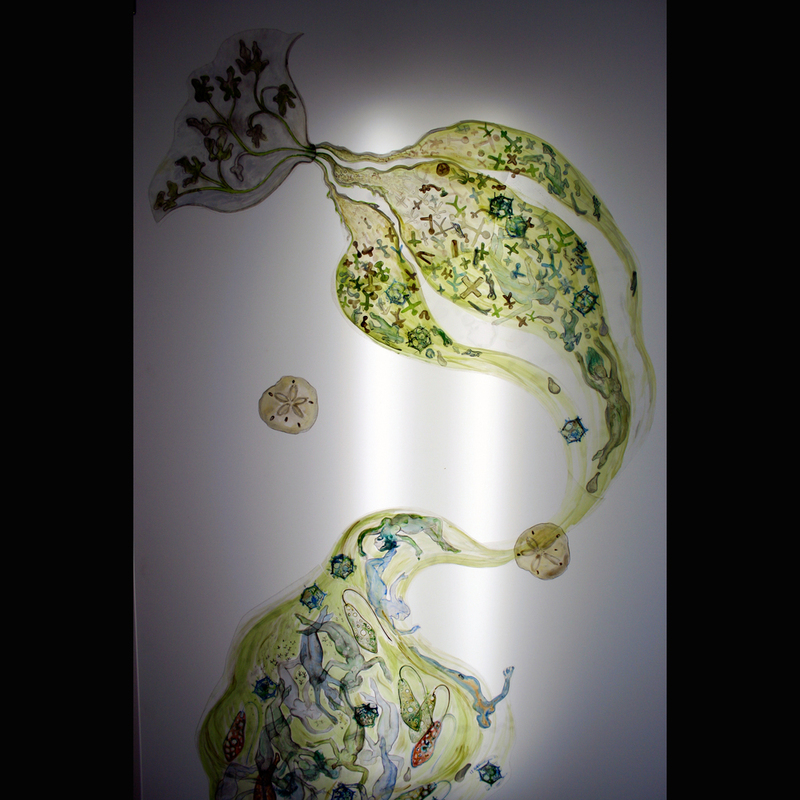 ORIGINS is a process that is inspired by seeing a remarkable exhibition of 18th Century magic lanterns Torino, Italy. The magic lantern slides, often hand-painted on glass are back lit and projection with an oil lamp on the wall. At the time I was creating stop-motion animations in which the images are is drawn on a light box. I brought these ideas together, and began creating a body of large painted collage work on Duralar, a translucent material. ORIGINS were created on sabbatical in Italy and France in 2006 and the themes were inspired greatly by imagery inspired by the 25,000 year old Pre-Historic Cave Paintings at Niaux, Rouffingnac, Les Combarelles, and Font de Gaume. ORIGINS was exhibited in 2009 at the Morgan Conservatory of Papermaking in a show curated by Rian Brown, called Paper in Motion, 2009. Paper in Motion, 2009. Morgan Conservatory of Paper Making, Cleveland OH.